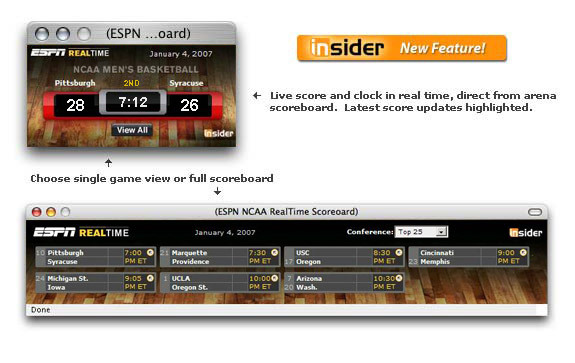 Insider's RealTime desktop scoreboard ... Get all NCAA Basketball scores discreetly on your desktop, updated instantly with NO refreshing. For detailed information about this application, see the FAQ page. In order to see this RealTime application, you must register and become an Insider. Along with this application, you get access into everything that Insider has available. Click here to see all of the benefits that Insider offers or you can take the tour!